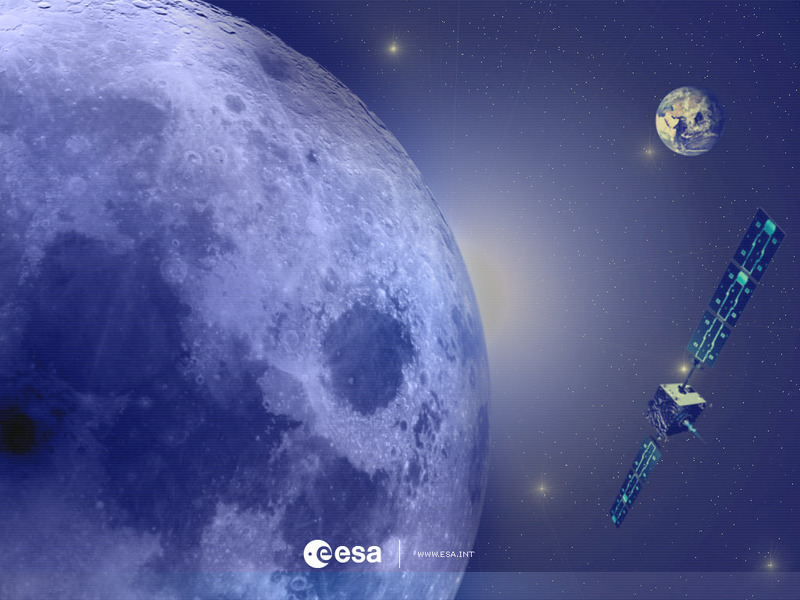 SMART-1 is Europe's first mission to the Moon. Scientists taking part will soon have a 21st Century view of our companion in space, which makes our connection with it more intimate than ever. The Moon is already no longer seen merely as a satellite, but as Earth's daughter, forming a 'double planet'. When humans first went to sea, many thousands of years ago, they monitored the phases and motions of the Moon to know the state of the tide in various harbours. More subtle shifts, up and down the sky, fascinated prehistoric experts who wanted to predict eclipses. Computing the first Full Moon after the spring equinox defined Easter in the Christian calendar. And before modern lighting, convenors of meetings chose dates with predictable moonlight, to help participants on their way. Such ancient technical interest in the Moon never conflicted with the admiration for its beauty, from pagan worshippers of Diana the Huntress to writers of modern pop songs. Nor need it do so now. The fact that humans have walked on the Moon, and will again, should not diminish but enhance the sense of wonder. In the modern perspective, seeking a lunar foothold for science and technology could be a natural step after establishing bases in the harsh but splendid landscapes of Antarctica. Beauty and science go hand in hand. The artist Leonardo da Vinci was perhaps the first to figure out 500 years ago that the subtle glow on the dark part of a crescent Moon is due to light from Earth. Now astronomers and space scientists measure that 'earthshine' to gauge variations in our planet's cloudiness, and the role of clouds in climate change. The Moon is almost as wide as the planet Mercury, and 27% of the width of Earth. Compared with its planet, it is relatively far larger than any other moon in the Solar System. Our neighbour Mars has two small moons, and Venus none at all. The geology of those planets is totally different from ours. So it is not far-fetched to ask whether the Moon's existence gives Earth qualities especially suited to life. A shocking birth for the Moon? According to a leading theory, the Moon was formed by a collision with a huge object when Earth was very young. SMART-1 will investigate this idea. The spacecraft will also examine the craters of the Moon that chronicle a prolonged bombardment of the double planet by comets and asteroids. There is a particularly large basin near the Moon's south pole, which SMART-1 will scrutinise. Our own planet suffered even more severely from such impacts. Earth and Moon have shared a common history for 4500 million years. Knowing the Moon more thoroughly will help scientists to understand our home in space. Then we may be better able to safeguard it.